Music was performed. 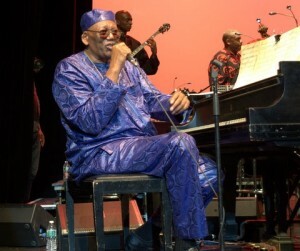 Randy Weston’s African Rhythms Ensemble paid tribute to their departed founder and leader. Every note, every stroke on a drum was a tribute to the master musician. This entry was posted in Events and tagged Dawoud Kringle, Randy Weston on September 13, 2018 by Sohrab Saadat Ladjevardi. On the morning of September 1st, 2018, pianist and composer Randy Weston was called home. 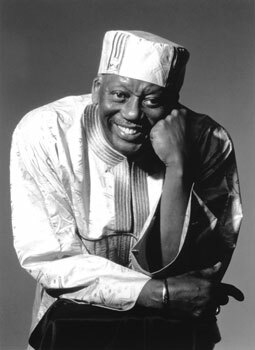 Randy Weston was born in Brooklyn, New York in 1926. to Vivian (née Moore; a native of Virginia) and Frank Weston (of Jamaican-Panamanian descent, who owned a restaurant in Brooklyn where Weston was raised). His father was a staunch Garveyite, who passed on the Pan-Africanist leader’s Afrocentric, self-reliant values to his son. He became interested in music at a young age. Among his early influences and inspirations were jazz giants such as Count Basie, Nat King Cole, Art Tatum, and Duke Ellington. He would often cite Thelonious Monk as having the greatest impact on him. After serving in the US armed forces in WW2, taking time to study European classical piano, and later running a restaurant (which was frequented by many jazz musicians), Weston began performing in the late 1940s with Bullmoose Jackson, Frank Culley and Eddie “Cleanhead” Vinson. He worked with Kenny Dorham in 1953 and in 1954 with Cecil Payne. He formed his own trio and quartet and released his debut recording as a leader in 1954, “Cole Porter in a Modern Mood.” In 1955, Down Beat magazine’s International Critics’ Poll voted him New Star Pianist. 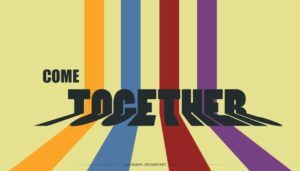 This entry was posted in Commentary, NY Musicians and tagged Billy Harper, Dawoud Kringle, Randy Weston on September 2, 2018 by Sohrab Saadat Ladjevardi. The Quiet City pays tribute to one of New York’s greatest Jazz heroes, the late Michael Brecker. One of the most prolific and most recorded musicians of all time, Michael Brecker was far more than just one of Jazz music’s greatest innovators. Recording as a sideman with such artists as Eric Clapton, Herbie Hancock, Joni Mitchell, Frank Zappa and Paul Simon amongst many, many more, Brecker’s performances have reached across all genres of music. With a catalogue of recordings that reads like a list of music’s all-time greatest hits, there is no doubt that the music world suffered a huge loss when Brecker succumbed to his battle with Lukemia in 2007. Brecker was 57 years old. Every Monday beginning October 3rd, The Quiet City will explore the music he recorded both as a bandleader as well as a sideman. This entry was posted in Music Listings and tagged Randy Weston on October 2, 2011 by Sohrab Saadat Ladjevardi. It was an honor and a pleasure to attend this year’s Jazz Journalists Association Awards on June 11th. The ceremony, held this year at City Winery, is a benefit for the JJA, an organization that works very hard to honor the musicians and writers who keep jazz alive. I was particularly impressed to hear about their new eyeJAZZ program, which hopes to put more visual technology in the hands of jazz writers, and thereby create better videos for all of us out there watching on YouTube and elsewhere. 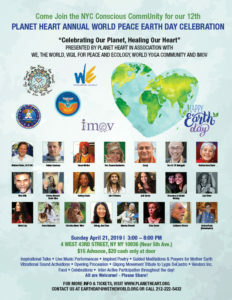 In keeping with this tech-savvy spirit, the 2011 JJA awards were not only live in new York, but were also streamed live on the internet and linked via webcast to satellite parties held in Berkeley, Boston, Chicago, Nashville, Portland, Seattle, Tallahassee and Washington, D.C. The JJA gives Awards for players of nearly every instrument in the jazz repertoire as well as to the journalists who cover them. The full list of winners, including Joe Lovano, Sonny Rollins, Blue Note Records, Mosaic Records and Ambrose Akinmusire can be found here, but I was particularly pleased to see that, among the many musicians honored, the late great Billy Bang received the award for Jazz Violinist of the year. His award was eloquently accepted by Kahil El’Zabar, a frequent collaborator. This entry was posted in Concert And Event Reviews and tagged 2011 Jazz Journalism Awards, Candido, Randy Weston, Robert Palmer on June 19, 2011 by Sohrab Saadat Ladjevardi. Salieu Suso: a serious practitioner of an art that dates back to the earliest days of the Malian empire. Every Friday night between 8 and 11 in Clinton Hill, Brooklyn, you can be part of a musical tradition that’s almost 1000 years old. That’s the time that Sulieu Suso plays kora every week at Le Grand Dakar, Chef Pierre Thiam’s elegant restaurant. A native of Senegambia, Mr. Suso has been playing the kora, an instrument made from a hollow gourd fitted with a rosewood neck and with 21 strings, since he began studying with his father at age 8. Sulieu Suso is a descendent of JaliMady Walyn Suso, who is often credited with inventing the instrument, and he’s a serious practitioner of an art that dates back to the earliest days of the Malian empire. There are few instruments that instill a sense of uplift and peace like the kora, and Mr. Suso plays it masterfully. I’d heard him play twice recently with Randy Weston, and was delighted to hear that he has a regular weekly solo gig just a few blocks from my house. This entry was posted in Concert And Event Reviews and tagged Randy Weston, Sulieu Suso on April 24, 2011 by Sohrab Saadat Ladjevardi.